Synjeco Oxenfisl Twist in a 1980 Stanwell 668 medium bend with a ferrule, half black sandblasted, half brown smooth, rough top. Running low on this blend now. 2011 Villiger Maryland No. 333 in a 2004 smooth long stem Canadian Trever Talbot Ligne Bretagne Faite en Bretagne 4/3. Castello Sea Rock in a rusticated Sherlock Holmes Deerstalker. Peter Heinrichs Curly Block in a straight 1968 Dunhill Shell bulldog. Not too far from finishing this bowl of G&H Dark Flake Unscented in a 2013 bent MM Missouri Pride Legend. Savinelli Brunello Flake in a Charatan Special Canadian. Half way through this bowl of Dunhill Elizabethan Match in a smooth 1977 Medley (GBD second) medium bend billiard with a flat underside. St. James Plug in an Upshall bent bulldog. Starting off my smoking day with Solani Green 127 in a 2002 IMP smooth full bend egg shaped meer. Yogi Berra passed away last night. It ain't over until it's over. Yogi's spirit lives on. RIP. Almost finished smoking Angler's Dream in a slight bend 1984 Stanwell Antique 124 grain etched with a smooth front. 2009 McClelland Beacon in a post WW2 Pre-Republic Peterson Dublin straight smooth X155 Bulldog with a sterling silver band. It's 13:30 CDT and having my usual mid -day bowl of ketchup/sweet, FM 2000 in my GBD New Standard Pot. Having a short smoke: Vincent Manil La Brumeuse Semois in a straight 2012 MM Pony Express cob. Van Halteren Black and Blond. 2009 St. James Plug in a 1986 three quarter bend Bacchus face CAO meer. 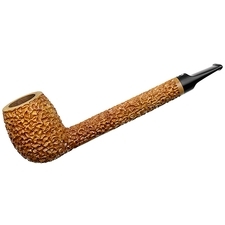 MacBaren HH Pure Virginia in a 2003 straight grain Karl Erik Ekstravagant A medium bend freehand sitter. Three Year Matured Virginia in a MM cob. Now smoking 2012 Anniversary Kake in a straight Lane era Charatan black with burgundy undertone sandblasted billiard 420. Bad Nun II in a Mario Grandi bent tomato.